It goes without saying that during this time there will be no updates to the blog and that thimbleful of comments I receive will probably take a few days or weeks to be moderated. Your opinion is important, just please have patience to see it appear. 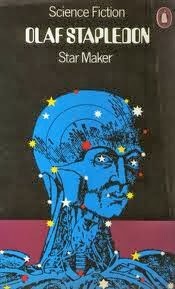 In the meantime, I strongly suggest you go out and read Olaf Stapledon's Star Maker, the book reviewed below, for it's one of the greatest books ever written. You can, of course, find many other good books reviewed on this site to tide you over until I return. As an eighth grader, I was required to watch the short film “Powers of Ten” (here). Though the opening scenes and graphics are beginning to show their age, there is no replacing the sense of wonder its nine minutes leave the viewer with. Continually expanding, and expanding, and expanding from Earth, to solar system, to galaxy, to universe, and beyond, it is a great parallel to Olaf Stapledon’s 1937 Star Maker. The novel taking the reader on a philosophical and spiritual trip of similar perspective, infinity seems the only limit. Future history at its most representational, plot is scant in Star Maker. The “story” of a man who disembodies himself, the narrative takes his mind, and the reader, on a journey from the English heath to the depths of time and space. Starting in minutes and seconds and gradually shifting into aeons and aeons of time and thought, the cycles of existence and humanity’s place within that movement are what is at stake as the nameless protagonist attempts to come to existential terms with the breadth and meaning of the galaxy, and whether, after all, there is an omnipotent Star Maker. Opening the collection is the intriguing “Perseophone and Hades” by Scott W. Schumack. A classic premise—last man and woman on Earth—is followed by an unpredictable story. Detailing not only how they came to be in such a situation, but what became of it—if ever the man can catch the woman, that is. Though a very masculine story, David Lewis’s novella Common Denominator does have the softer side of being human at heart. The story of the elite fighter pilot Smith, his irascible wingman Richards, and their fight against the alien Starii, it is a classic space fight with a deeper purpose. What is vanilla? It is a flavor of ice cream, a fall back when all else fails, and a dependable solution when nothing else is available. Ben Bova’s 2006 Titan is vanilla. Possessing not a scoop of bubble gum or dollop of tiramisu, the 2006 novel is Silver Age science fiction published in the 21 st century. Its characters, plotting, and MO stuck in a time warp, this novel, part of Bova’s Grand Tour series, defines the meaning of ‘average genre production’. Titan Alpha has landed: the most complex man-made object to reach Saturn’s largest moon. 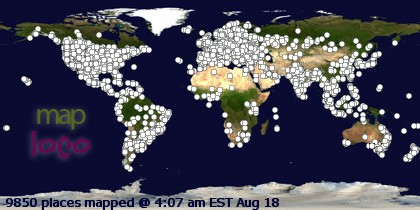 The ten thousand men and women of Habitat Goddard are once more at the frontier of space. From their huge, artificial paradise hanging in orbit above Saturn, some of them dream of landing on Titan’s surface. Others will do anything to prevent such a landing. And yet others have darker, secret plans. But almost immediately, Titan Alpha goes silent. And minor, inexplicable faults start to affect Goddard. Is there a basic design flaw that could threaten the lives of everyone on board? Or has one of the many malcontents exiled to space decided to sabotage the probe or even the whole expedition? Review of Houston, Houston, Do You Read? by James Tiptree Jr.
How many famous space captains are there in science fiction—the square-jawed heroic type? Captain Kirk, Commander Riker, Captain Robert E. Lee, Han Solo, Buck Rogers, Flash Gordon, and on and on goes the list of masculine men oozing competence, strength, and wit. Working hand in hand, every captain likewise has an antagonist, an almost-as-competent man whose visions of success are skewed to the egotistical—Darth Vader, Khan, Ming the Merciless among them. This dichotomy the reason behind many a successful book and film, there remains another question: what does the larger picture look like? What does one see standing above this battle of testosterone? James Tiptree Jr’. 1976 novella Houston, Houston, Do You Read? answers the question in biting, challenging fashion. Houston, Houston, Do You Read? is the story of Dr. Lorimer, a scientist aboard a NASA mission gone wrong. Their ship Sunbird One struck by solar radiation while amongst the inner planets, they are limping back to Earth at the story’s opening. Lorimer’s fellow crew members, the religious Captain Dave and the good ol’ engineer Bud, are relaxed despite the damage their ship has taken, and are enjoying the trip. But when a communication to NASA in Houston fails to generate a reply, things turn strange. Even stranger is when another spaceship, called the Escondita, contacts them out of the blue, telling them they are off-course. The test of pride that follows this announcement is only the beginning, however. The three men’s lives changed forever in the aftermath, whose instrumentation is telling the truth is up for the reader to find out. Press Enter_ is the story of Victor Apfel, a former prisoner of war in North Korea who has spent the intervening years on government pension living at his parents’ suburban home. Receiving a strange automated phone message one day asking him to go to his neighbor’s house—a neighbor he hardly knows, the suicide he discovers only leaves more unanswered questions. The neighbor, whose name is Kluge, has left a house filled to the rafters with data network cables and computer terminals. The suicide note left scrolling on an operating terminal, when the police call in a young Vietnamese computer whiz to validate it, the story takes another turn. 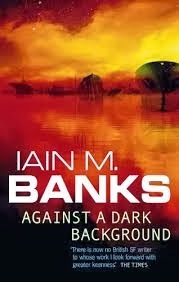 Despite being Iain M. Banks’ fifth published work of science fiction, Against a Dark Background has all the feel of being the author’s fledgling effort in the genre. Overwritten, narrative fragmented in inconsistent fashion, and plot devices and storytelling all rather overt, the book is good if you’re looking for a light read that doesn’t require too much thought. 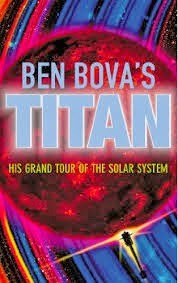 Otherwise, it leaves a lot to be desired when compared to much of the author’s other sci-fi. Against a Dark Background is the story of Sharrow, the displaced daughter of a noble whose life choices have not endeared her to the aristocracy of their planet Golter. And what a character she is. On the run from the Huhsz, a strange religious group which has a legal assassination warrant out on her unless she can locate the last Lazy Gun, Sharrow runs the gamut of a century’s action and adventure plots trying to survive, utilizing every ounce of will and guts to enact revenge and fulfill her own goals in the process. A rebel to the world, her past haunts her as much as the present as she and her pals sabotage, trick, and cheat death one step at a time, planet to planet, finding the last Lazy Gun. Every reader an individual with specific tastes and preferences, it’s natural that what appeals to one may leave a bad taste in the mouth of another. 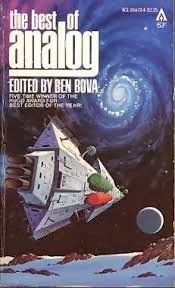 Vernor Vinge is one such author for me. I see how popular he is, and I know he has a firm following, but in the two pieces of fiction I’ve read, A Fire upon the Deep and The Cookie Monster, I’ve been left with serious doubts as to the integrity of his work. I will not reiterate upon the reasons (you can read those in the reviews), except to say I decided to let the rule of three determine whether there was any value to continue investing in the author. Though it was the best of the three, after reading Fast Times at Fairmont High (the 2001 novella), I have to say I’m done unless a compelling reason appears in the future. Imaginative usage of technology: yes. Intelligent use of ideas: partially (there are some interestingly plausible visions of life in middle schools of the future). Entertaining, evaporatingly so. Mature in style, no. Cohesive, more so than The Cookie Monster. Literary, anything but. 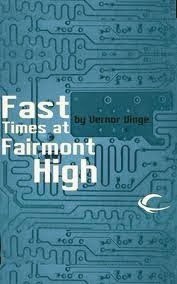 Fast Times at Fairmont High is the story of Juan Orozco, a middle school student at Fairmont High—a school for gifted and talented teens in San Diego, save one. 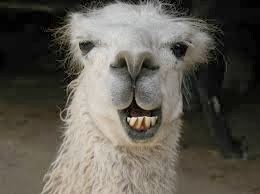 That one is Bertie, Juan’s best friend, who lives in Chicago and attends class virtually. A high-speed, nodal wi-fi net blanketing San Diego, there are few places the boys cannot go together. But ‘snips and snails, and puppy dog tails’ are far from their minds. Final exams upcoming, there are two projects they must pass: a research project, and a “naked” project: one without the web. When Bertie suggests that Juan team up with a girl in their class named Miri, Juan starts to get suspicious. When Bertie actually interferes with dung pellets (yes, you read correctly), however, things turn strange. I suppose like many, my introduction to Timothy Zahn was his treatment of post-Return of the Jedi Star Wars novels. The Thrawn Trilogy good, light reading that does full justice to George Lucas’s screen vision, last weekend on a short holiday I brought along Zahn’s 1983 Hugo winning novella Cascade Point in the hopes of more simple, yet lucidly created entertainment. I was not disappointed. Capitalizing on a standard science fiction MO, Cascade Point takes a mathematical conceit and extrapolates upon it to create story. Faster-than-light not a button on the dashboard, transitioning through the nodal points of reality requires every bit of mental and physical stamina a person has. Durriken, captain of Aura Beauty, is one such man. Preparing to make a delivery with the poor interstellar freighter at the story’s outset, things quickly turn unusual. Two of the passengers, a psychologist and his patient, have requested permission to stay awake during the cascade point transfer—the captain the only one who typically remains conscious. Durriken grants them permission, but upon exiting nodal travel the crew discovers the planet they arrived at is not the planet they intended. Reality a twist away from expectation, getting to the bottom of the mystery—and back to Earth—requires every bit of mental strength Durriken has. Though the count may not be high (five stories all told), Greg Egan’s Dark Integers and Other Stories packs a theoretical punch, quite literally. Novellas and novelettes only, the 2008 collection is filled with the author’s trademark hard science speculation. The selections published between 1995 and 2007, one pair of stories is set within the same universe as Incandescence, another pair within a near-future Earth setting, and the fifth on a water world. Quality contentious, certainly those who appreciate abstract theorizing will enjoy it the most. “Luminous” (1995) - In a shocking opening scene, a man awakes to find himself shackled to a bed and a woman operating on his arm trying to extract the data cache buried in his flesh. Containing invaluable and literally illogical formulas, he escapes to explain his story, and, once and for all, test the data lodged within. This correlates to something along the lines of: “Let me get this straight. What you’re talking about is taking ordinary arithmetic - no weird counter-intuitive axioms, just the stuff every ten-year-old knows is true - and proving that it’s inconsistent, in a finite number of steps?” The follow-through is more than even the man, let alone the corporation chasing him, thinks possible. An interesting story for anyone who likes pure mathematical paradoxes and the potential implications, otherwise a bit blocky. The dystopian/utopian novel has become a genre tradition many science fiction writers feel the urge to confirm. It’s difficult to point to the root story: some say More’s Utopia, others Zamyatin’s We, and still others Swift’s Gulliver’s Travels. But regardless, the number of books and stories which utilize the theme are significant. From the gritty side (John Brunner’s Stand on Zanzibar and George Orwell’s Nineteen Eighty-four) to a humanist perspective (Ursula Le Guin’s The Telling and Aldous Huxley’s Brave New World), from lesser known works (Stanislaw Lem’s The Futurological Congress and Maureen McHugh’s Protection) to the sensationalist side (Ray Bradbury’s Fahrenheit 451 and Suzanne Collins Hunger Games), dystopia is one of the most covered topics, and is in fact, a sub-genre of literature itself. 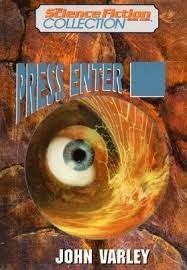 Taking an angle Jeremy Bentham and John Stuart Mill would champion, and twisting it into a surreal, post-cyberpunk, transhuman story of excessive proportions, Ian McDonald’s 1989 Out on Blue Six (Open Road Media) is another entry to the lists. Out on Blue Six is entirely set (well, not entirely, but the reader will need to read and find out exactly what is meant by this caveat) in the great city of Yu. An environmental catastrophe has forced the implementation of order upon society in order to prevent the complete devastation of life and a massive wall has been built around the city. The control of pain considered the lowest common denominator, the ruling Compassionate Society psychologically profiles people at birth, and until death imposes profession, caste, and partner. Any cause of harm to others, be it verbal, physical, spiritual, etc. is a reason for alarm, the Love Police vigilant enforcing the city’s what’s-best-for-the-majority laws. Yu not entirely a controlled state, however, its neon jungle burns with life off the grid. 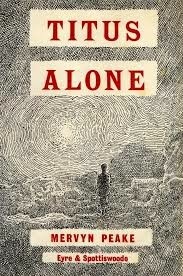 Positively peripatetic compared to Titus Groan and Gormenghast, Titus Alone (1959), the third Titus novel by Mervyn Peake, finds the titular heir on walkabout, trying to find his place in life. The routine and comfort of the castle, Prunesqualor, the Countess, Steerpike, Fuschia, and the others in his rearview mirror, Titus Alone throws the shutters of the young man’s world wide open, threatening to drown him in modernity in the process. More bizarre than Titus Groan and Gormenghast, Titus Alone is a wild, surreal ride possessing just as much depth for those willing to see it through. Titus Groan was a creaking, tittering, masterful display of Gothic grotesque unlike the literary world has ever seen. 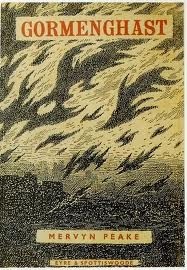 Gormenghast, the second of Mervyn Peake’s Titus novels, is every bit as delightfully detailed. Filled with the most peculiar of personalities, scenes of the haltingly bizarre, and the most sublimely fantastic of moods, the story of the castle’s final deterioration is arrived at via Titus Groan’s, the Seventy Seventh Lord of Gormenghast, coming of age. Set a handful of years after the conclusion of Titus Groan, Steerpike, at the opening of Gormenghast, forever lurks in the shadows for reasons the reader can only guess at, his secret tunnels and peepholes in walls giving only a scattering of clues. Locked in a faraway room by the cunning young man, the twins Cora and Clarice live in despair. Irma, Dr. Prunesquallor’s ageing spinster of a sister, claws at the mirror, seeing only her beauty and lack of a husband, driving her brother mad in the process. The Thing, Keda’s daughter from Titus Groan, haunts the mud-dwellers, wrecking havoc on their carvings, while in the castle’s school, a crowd of teachers fill their room with smoke and complaints, their egos not much more mature than the boys they teach. 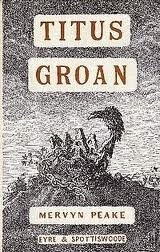 Mervyn Peake’s 1946 Titus Groan is a masterpiece. Point blank. An eccentric cast of characters inhabiting a gloomy castle, it is bitter tea with a sprinkle of sugar. It is a flicker of distant lightning in a sky of dark clouds, a flower petal floating in dirty water. Most importantly, it is human down to its bones. Part Charles Dickens, part Lewis Carroll, and all Peake, the crawling unravel of story is one of literature’s most unique experiences for those with the patience to stay its plod.